I like to keep my #JazzSundays adventurous. There’s a lot of music to be found in that world, so it’s difficult to get bored. Still, there are times I feel the need to shake things up. For the most part, I usually find myself enjoying some form of post-bop or modal jazz, like my father appreciated. When I want to stretch things out, I go into the fusion of the late 60s and early 70s. For quite some time, I’ve been yearning for something new. I’ve mentioned before my desire to find bands playing what I deem 21st century jazz. It’s music paying homage to the past while adding a few modern elements to its classic sound. I’ve been fortunate enough to come across artists like Christian Scott Atunde Adjuah, Kamasi Washington, Donny McCaslin, Jacob Garchik, and Kneebody. I’ve found myself looking in the places I usually look for jazz musicians: primarily places like New York, Chicago, and Los Angeles. Now I learn I’ve been looking in the wrong place. I should’ve been looking to Manchester, England, and a label called Gondwana Records. Thanks to Bandcamp, my favorite place to learn about new music, I have found a slew of bands making just the sounds I’ve been looking for. So far, four of those acts (and more than a few of their albums) have found there way to my CD shelf. That is, if I ever stop playing the daylights out of them! Of all these amazing artists, trumpeter Matthew Halsall comes closest to the traditional jazz sounds of the 60s. Halsall makes a sound that combines the technical proficiency of Dizzy Gillespie with the “human voice” emotional timbre of Miles Davis. No one will ever accuse this young man of rushing to make his point. He is wise enough to let the song be his guide, and allows it to take him where it will. Halsall also possesses the gift of being able to get out of the music’s way, and let his band carry the load where needed. He doesn’t strike me as a musician in love with the sound of his own voice, which is often detrimental to the music. Mammal Hands also spends most of its sound within the realm of straight-ahead jazz, but they also stretch things out a bit by way of the tasteful use of effects pedals. This seems particularly unusual given the band’s makeup of saxophone (Jordan Smart), piano (Nick Smart), and drums (Jesse Barrett). Of course I noticed the absence of a bassist. But Smart’s left hand is more than up to the task, giving the music its groove while leaving room for his piano and other instruments to wander throughout the mix, should they so desire. Things begin to get really adventurous when the Portico Quartet takes the stage. It might not even be fair to call this a “jazz” band in the strictest sense of the word, since more than a few elements of electronica and trip-hop help create remarkable grooves a traditional jazz musician might not recognize, but a 21st century player can revel in. I’m particularly fond of the band’s Art in the Age of Automation album, which pretty much describes itself without any help from me. This groove leaves me eager to pick up my guitar and attempt to find space for myself within the mix. I also picked up an album called Isla, which was actually released on Peter Gabriel’s Real World label. Portico Quartet’s latest effort, Untitled (AITAOA #2) eagerly awaits me at Planet Score Records. We will be together very soon indeed. Of all the Gondwana artists I’ve explored so far, GoGo Penguin has made the most impact (starting with its fascinating band name). Their sound goes to the very heart of what I’ve been seeking all this time. The first album I heard from them is called Version 2.0, and it didn’t take long to figure out I was hearing something truly special. What struck me first and foremost was the incredible amount of sound coming from a piano (Christ Illingworth), bass (Nick Blacka), and drums (Rob Turner). I’m assuming the band records its music in a 48-track studio, which is usually the standard. That being said, I find it hard to believe they need more than 24 of those tracks to capture their instruments, while the remainder may (or may not) be used to capture the ambient sound in the room. I’m also amazed by the positively amazing sound of Blacka’s bass, which positively rumbles while not being obnoxious about it. If anyone were to ask me what I mean when I say a sound is “rich,” I would point directly to this band and the joyous noise they create. I also invested in an album called Fanfares, which was released in 2012. There you can hear a band rapidly making its way to its signature sound (Version 2.0 was released a year later). 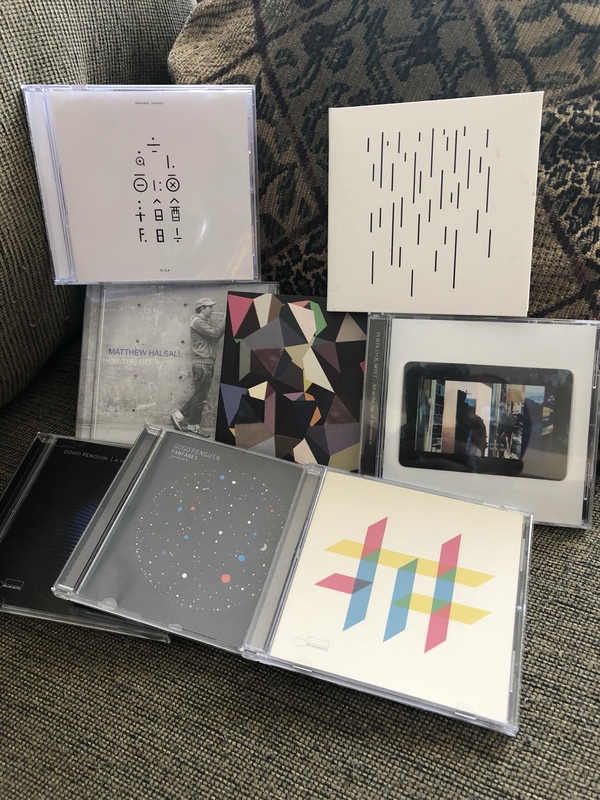 In the interest of full disclosure, GoGo Penguin has since moved to the larger (and more “commercial,” from a jazz sense) Blue Note records, where they have released Man Made Object and A Humdrum Star, which they are currently touring behind. Fortunately for us, the move to a larger label has produced no compromise in the band’s sound. If anything, they are more adventurous than ever! A friend and I have spent a little time arguing whether or not GoGo Penguin’s sound is truly jazz. I say it is, based on the simple premise of musical evolution. To my mind, this is one of those places jazz was destined to go, assuming it could find musicians brave enough to bring its sound to life. Well, the moment — and the band to present it — has finally revealed itself. For this, I am truly thankful. I tip my hat to the good people of Gondwana records. They have added a new, modern dimension to the sound I have come to love over the past 40 years. They have taken a traditional sound and helped it to evolve without disrespecting the original form. I can only imagine what other musical adventures can be found on this groundbreaking label. I for one, plan to spend more than a little time finding out. My book, I Can’t Be the Only One Hearing This: A Lifetime of Music Through Eclectic Ears, is available from Amazon, Barnes and Noble, and other quality book retailers. Next My Favorite Concert: Pretty Much ALL of Them! Terrific stuff! GoGo Penguin are at the top of my favourite artists list right now and the other bands you mention here are coming up fast on the rails. Trivia: Spotify’s artist page for Matthew Halsall lists among Related Artists: Mammal Hands, Portico Quartet and GoGo Penguin. Oh, and I meant to say that I like the dark theme. It works really well.